Oliver! November 2009 - Tickets from £29.50 or four for £60! 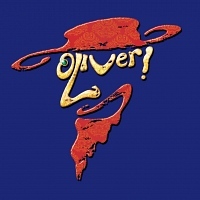 The biggest selling West End show of all time Oliver! Is playing at the Theatre Royal Drury Lane, with a cast and orchestra of over one hundred including (until 12th Dec) Iranian funny-man Omid Djalili, then from 14th December another funny-man takes the role: Griff Rhys Jones. Starring Jodie Prenger as Nancy and Steve Hartley as Bill Sikes, the show features a sensational score, full of Lionel Bart's irresistible songs including Food Glorious Food, Consider Yourself, You've Got to Pick-a-Pocket or Two, I'd Do Anything, Oom Pah Pah, As Long As He Needs Me and many more. Until 26th November, we are able to offer you two great money-saving deals for all Monday to Thursday performances: Top Seats for £29.50 each (usually £45.75) or four balcony seats for just £60, saving you a massive £40 (usually £25 each).